Real Madrid boss Zinedine Zidane has offered a coy response when asked about Kylian Mbappe amid speculation linking him with a move to the Bernabeu. As noted by The Independent, it has been suggested that the French icon will be given over £300m this summer to rebuild the Madrid squad amid what is likely to be a bitterly disappointing campaign. Los Blancos crashed out of both the Copa del Rey and Champions League this month, while they sit 12 points adrift of La Liga leaders and rivals Barcelona. After all the success that they enjoyed under Zidane in his previous stint, it has been a disastrous year for them, and based on the report above, it could call for a major overhaul this summer. Club president Florentino Perez has already suggested that Mbappe and Neymar could be transfer targets this summer, as per Sky Sports, but Zidane was remaining tight-lipped on the matter, albeit he admitted that he would be “happy to coach” his compatriot. Time will tell if Paris Saint-Germain can be persuaded to part company with one of their most valuable and important assets, as given Mbappe’s impact up to this point coupled with the fact that he still has his entire career ahead of him, the Ligue 1 champions will surely be desperate to keep hold of him. 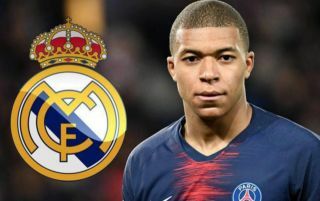 Nevertheless, after they suffered more Champions League disappointment this season, it could force the French international to consider his options if an offer is made from Real Madrid, as the opportunity to link up with Zidane and to compete for the biggest prizes in European football will surely be difficult for the World Cup winner to ignore.